If commercials for travel rewards cards have taught us anything, it’s that infinity pools are made for relaxation. Diving excursions are the star attraction at Courtyard Bonaire Dive Resort, a four-star resort located on the west coast of the Dutch Caribbean island of Bonaire; but between trips to stunning nearby marine ecosystems like Bonaire National Marine Park and Washington Slagbaai National Park, guests can still enjoy some underwater fun in the resort’s picturesque infinity pool. 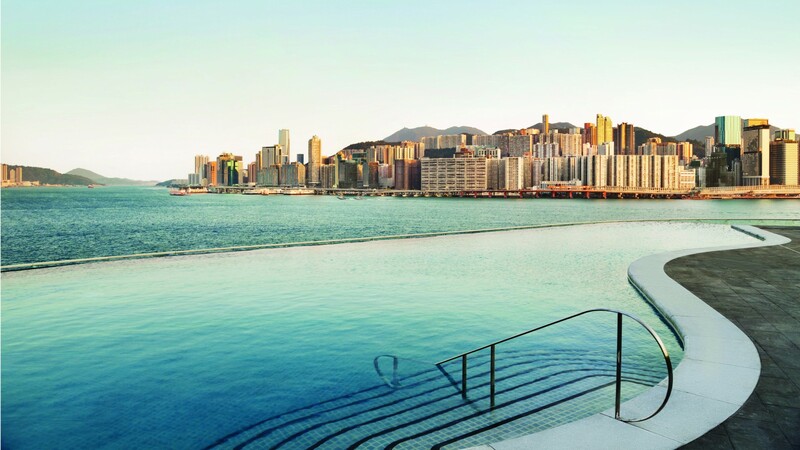 Overlooked by colourful guest room buildings, this sparkling pool offers beautiful ocean views. After swimming a few laps in the pool, jump in the adjoining whirlpool, which features equally lovely vistas. Billed as the world's most expensive casino property and Singapore's most grand luxury hotel, Marina Bay Sands’ iconic facade can be seen from most parts of the city, three tall buildings interconnected by a large cantilevered platform that hoists one of the tallest infinity pools on earth. 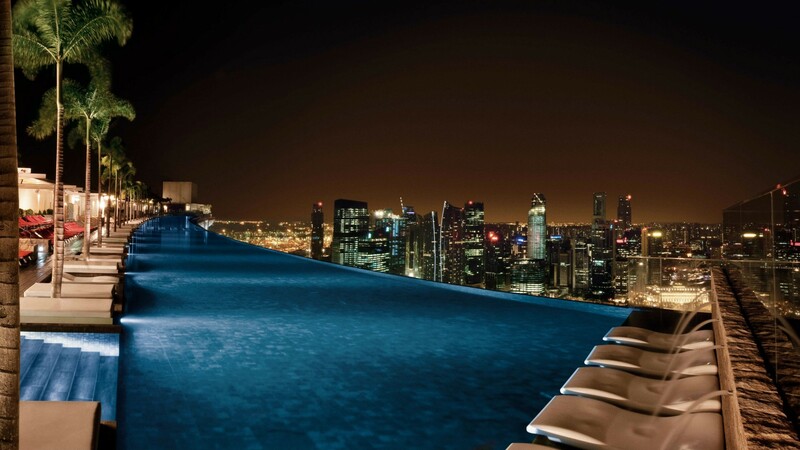 As far as views go, the infinity pool offers near vertigo-level views of Singapore. 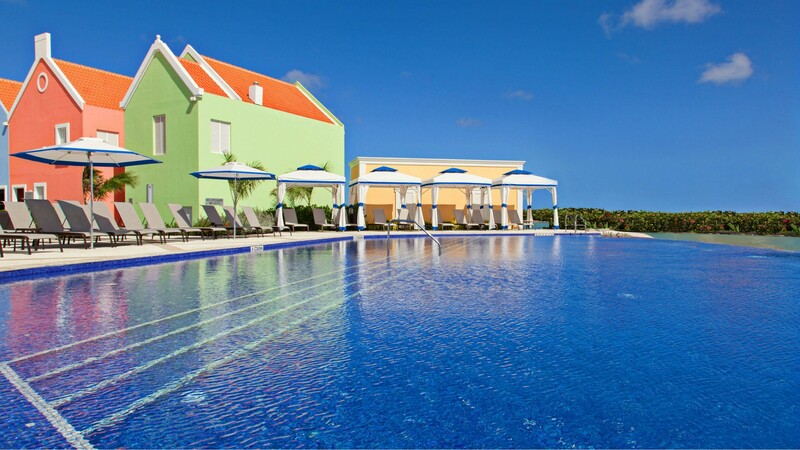 The pool is situated within a resort so eating and drinking options are plenty. At the Four Seasons Serengeti, you don’t necessarily need to go on safari to see the best of Tanzania’s wildlife. The resort’s 25-metre-long infinity pool directly overlooks the plains of Serengeti National Park and a large waterhole that draws tons of local wildlife. 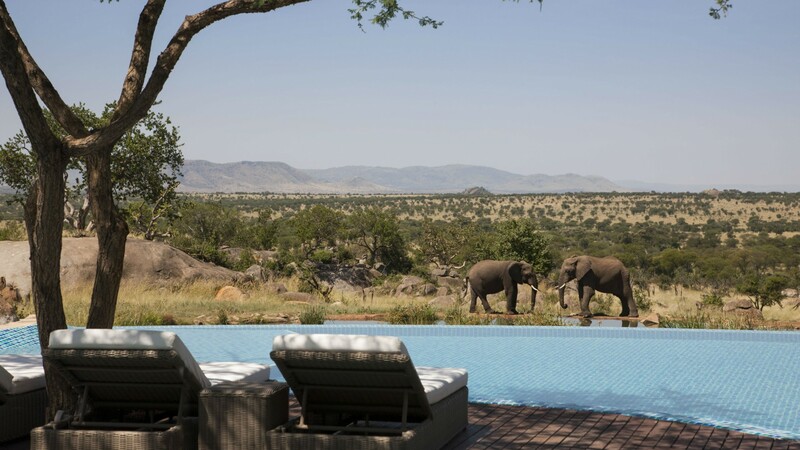 You can easily spot wildebeests, elephants, zebras and dozens of other species while relaxing on a lounger by the pool and sipping a cocktail (because, yes, there’s bar service). An infrared camera positioned over the watering hole streams to the resort’s TVs, so you can easily keep an eye on wildlife activity from your room and head out to the pool when the animals arrive. 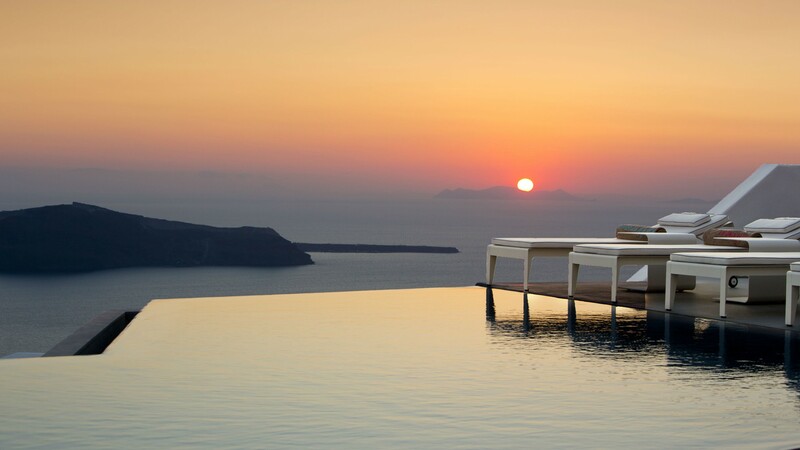 Grace Hotel, located in the village of Imerovigli, is carved into a cliff overlooking Santorini’s famous caldera, making for truly spectacular views from its infinity pool. The largest pool on the island built along the caldera, the hotel’s sleek pool offers panoramic views of the Aegean Sea. White loungers lining the deck complement the blue waters of the pool and sea. More than just aesthetically pleasing, the pool is long enough for a decent workout swim (if you don’t get too distracted by that view). The pool shares the terrace with the hotel’s sophisticated bar, which serves up cool cocktails perfect for toasting those enchanting sunset views. With views of the shoreline of Hung Hom Bay on Victoria Harbour, the newly built 16-storey hotel is the first to open on the Kowloon waterfront since 1995. Billed as the city’s first urban resort, the hotel’s interior features multi-level podium space with extensive outdoor landscaped gardens that connect seamlessly to many public areas. A curated collection of over 1,000 art pieces are showcased throughout the Kerry Hotel – many of which were specially commissioned from leading Asian contemporary artists to complement the fluid design of the property.